Happy Wednesday y'all! 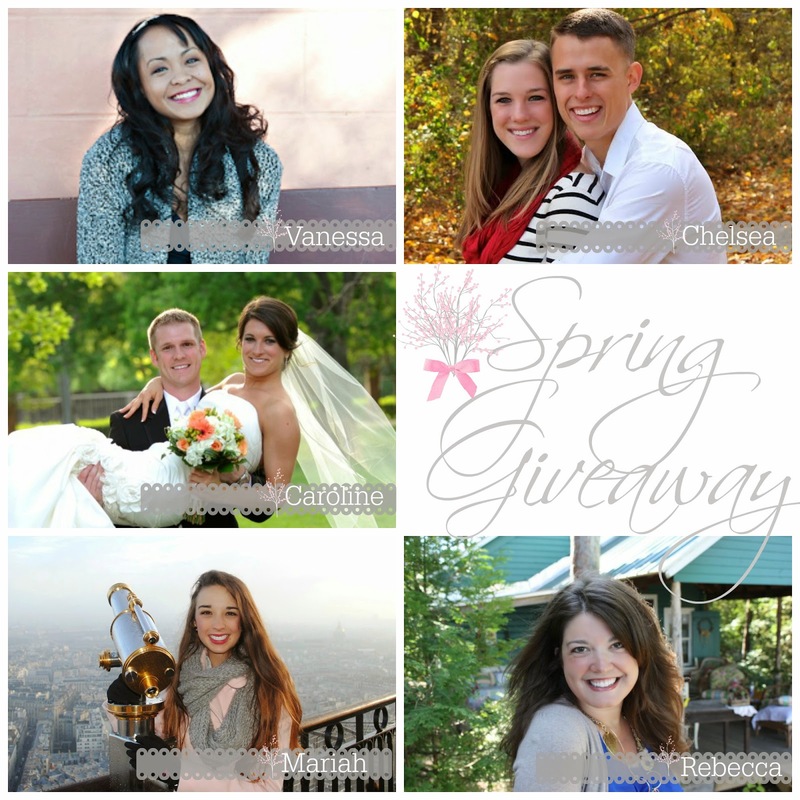 I am so excited to team up with these lovely ladies to offer one lucky winner a variety of prizes! The wonderful thing about this giveaway is that there are multiple prizes! Are you still looking for a mother's day gift? You could win it here! Looking for a graduation gift? These prizes will give you some options! Or win a Starbucks or Visa gift card for you or a friend! All you have to do is enter via the rafflecopter below! Good Luck y'all and Happy Spring! Thanks so much Rebecca! Loved being a part of this giveaway! I am so glad that you were apart of it!! :) Thank you again for your sweet and understanding heart!! Thanks for hosting!!! What a great group of bloggers! Can't wait to meet the winner! Thrilled that you were apart of it! I can't wait to meet the winner either!! :) Yea! What a great group of bloggers. some of my faves too. someone is gonna be so happy with this prize.